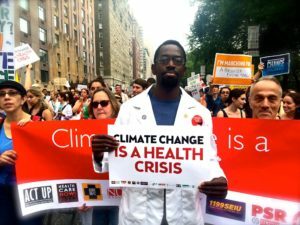 Health professional champions receive training and curriculum on the health impacts of climate change and actionable solutions for their healthcare settings, communities and the State of California. With training and support, champions engage in community and professional presentations, media advocacy (including print, radio and television) and legislative advocacy on a wide variety of climate change and health topics. October 2017: Chico, CA More info to be announced–check back soon!